7 Best Herbs for Stress - Make Your Life Easier! 1. KAVA KAVA is successfully used for anxiety. As one of the more popular herbs for stress, kava kava will calm anxiety and also promote sleep. 2. VALERIAN ROOT will not only act as a sleep aid when taken in larger doses, this herb will also help in dealing with panic attacks or any type of stress induced condition. 3. GINSENG is an herb used for stress and is known to benefit the nervous system, especially when compromised from illness. 4. CATNIP, an herb which comes in the form of tea, will sooth and relax the anxious mind and body. 5. PASSION FLOWER has the properties of a tranquilizer to decrease anxiety and calm nerves. 6. LEMON BALM is a perennial herb which is used as a relaxant, giving the body a feeling of well being. 7. 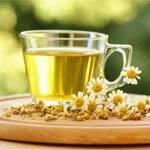 CHAMOMILE is not only used for upset stomachs or calming babies, it will also calm anxiety in people of any age.